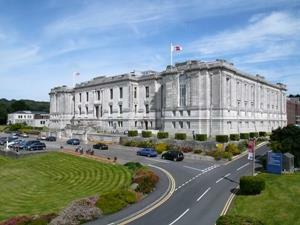 National Library of Wales01970 632801work MuseumThe National Library is one of the great libraries of the world. Since 1911 it has enjoyed the right to collect, free of charge, a copy of every printed work published in Britain and Ireland. It boasts a huge collection of works about Wales and other Celtic countries: books and pamphlets, magazines and newspapers, microforms, ephemera, paintings, maps, drawings, photographs, documents, manuscripts, probate records and genealogical resources. The Library is also the home of the National Screen and Sound Archive of Wales. Free exhibitions are held throughout the year in our exhibition galleries. Weekly guided tours; pre-booking essential. An opportunity to have a tour of the building and see some notable treasures. The National Library is one of the great libraries of the world. Since 1911 it has enjoyed the right to collect, free of charge, a copy of every printed work published in Britain and Ireland.